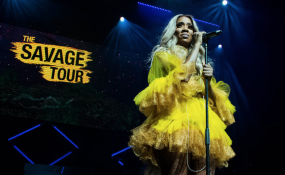 There are indications that one of the leading streaming platforms, YouTube has finally taken down the official video of Tiwa Savage's song, "One", following claims by artiste, Danny Young that his 2008 single "Oju Tiwon" was copyrighted by the former. Recall that Danny Young had taken to social media to publicly call out Tiwa Savage, for intellectual property theft. The singer had accused Tiwa of stealing contents from his song titled 'Oju Tiwon', which he released in 2009. The said content had been used in the female singers hit song One. The video, shot in Lagos by Clarence Peters has been taken down from the singer's channel. It's believed that Danny Young has reported the matter to the Youtube 'courts' who have been known for their zero tolerance to any perceived case of violated copyright laws. Tiwa Savage is yet to react to the development.